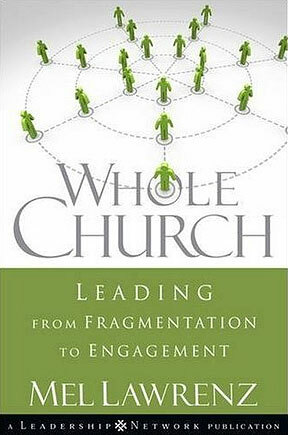 I have been reading Mill Lawrenz’s book Whole Church and it has been giving me some interesting insights. I knew that within a church’s congregation there were groups, if we were in youth group we would call these cliques. These are people to float in certain circles. They hang out with certain people each week and usually tend to only interact within these circles. This is comfortable for them and makes church feel welcoming, warm, inviting, and ‘their’ church. On the surface there is nothing wrong with this. It breeds community and a sense of belonging. They also breed power, influence, and a voice of their own. This is where the issues start to rise. What makes up a church circle? These can be Sunday School Classes, Bible Study groups, other small groups, families, a group of friends who socialize in and outside the congregation and even committees or teams. Where two or more are gathered there can be a circle. One person cannot be though. They have to have influence or power or something in common with others. A lone person is actually outside a circle. There can be people who float within circles , like this picture of B & D. They bridge the two circles and have a lot in common with each group. There might be days that a person is soley on the side of the Bs but then other times when they are with the Ds. These floaters are a blessing and a can be a curse. They can lead to persuading different groups to go with an idea or they can dissuade them. They can be a clergy’s BFF or Nemesis, and everything in between. How these circles interact with one another is key into understanding the personality of the congregation, where its strengths are and where its limits/weaknesses exist. As conflict and decisions are made one can tell where the battle lines are and who is in what circle. I do not think that it is possible to make these observations in a person’s first two years of an appointment. It takes time to understand the laity and how they work and to see how these circles react to different circumstance. As I have started to notice the circles in my present appointment it has started to be a focus of my ministry. How do we bring these circles closer together? Is it possible to eliminate circles within a congregation? Or is the better question, how do we bring the circles together in a larger community while keeping the positives of the circles around (a sense of belonging and community)? As I look into 2010 and what God has in store for us at Trinity, I am aware of the circles that are forming and formed. I am trying to focus on inner-circle relationships and bringing more back into the fold.